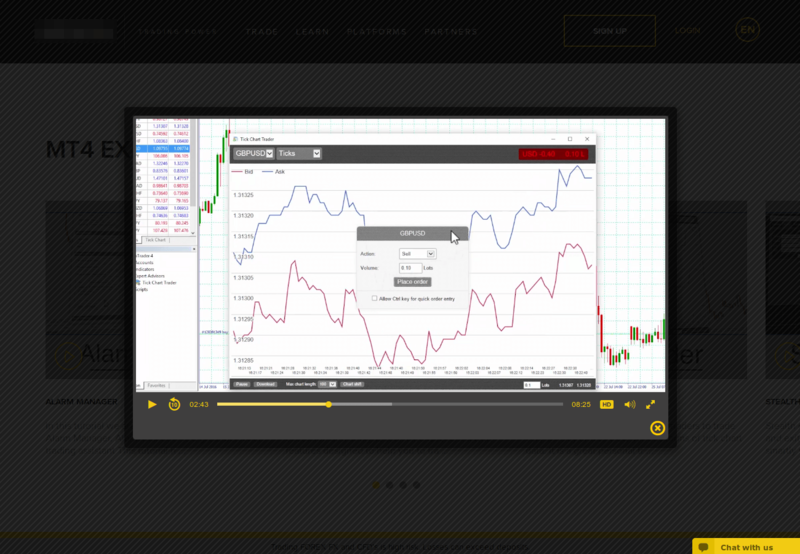 The unique mix of a financial trading tool and webinar platform that teaches brokers how to trade and allows to do it right there. 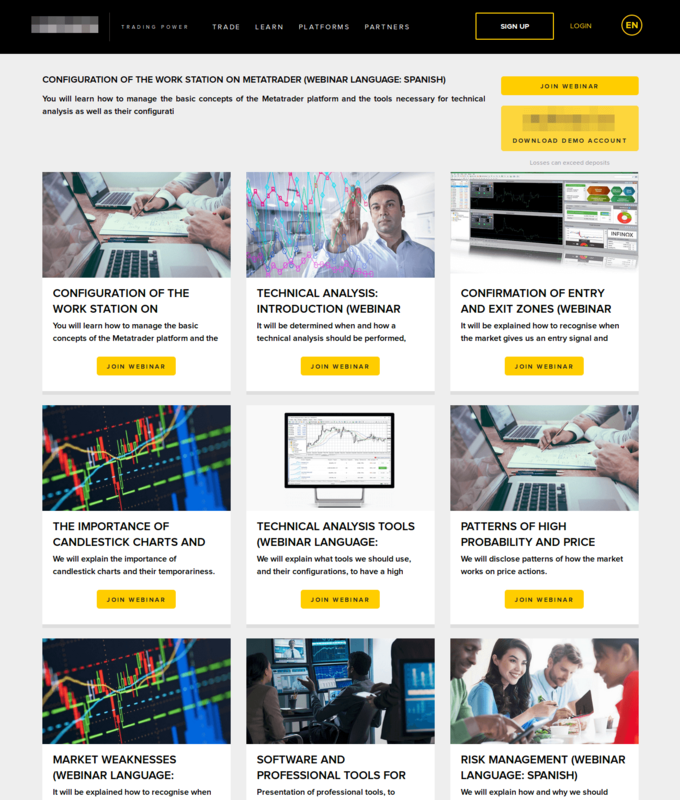 The integration with different advanced services enables to download webinars out of the current base, analyze and rank video according to certain parameters, provide transactions, register new users and more. 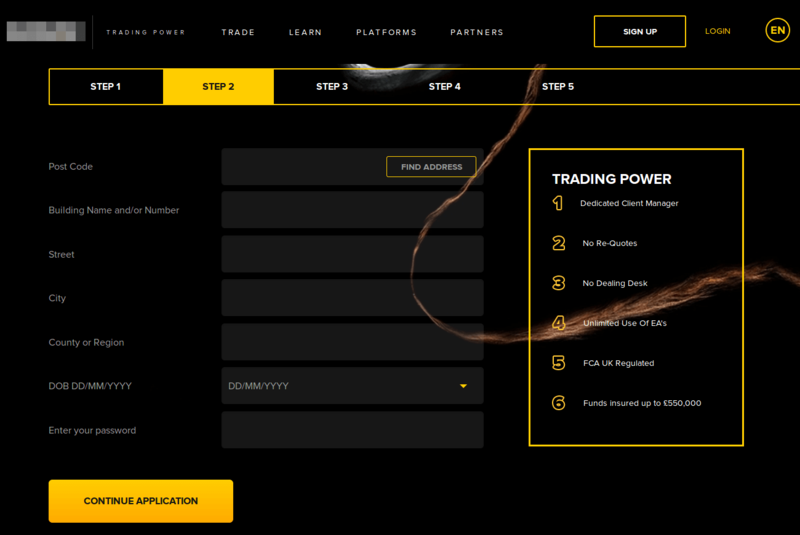 We were asked to create an information portal for teaching people the basic and advanced techniques in the financial markets. 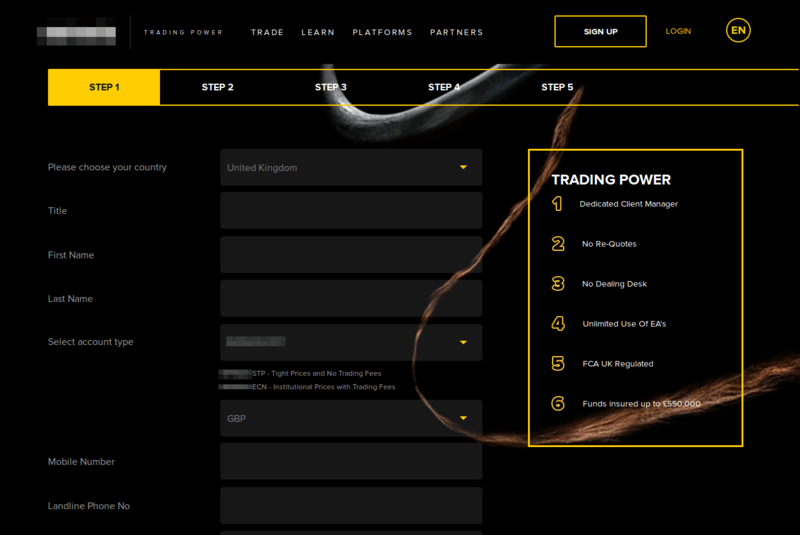 This portal is a marketing tool for the broker that helps to sell broker’s products - different financial instruments (including MT4) which are taught how to use. 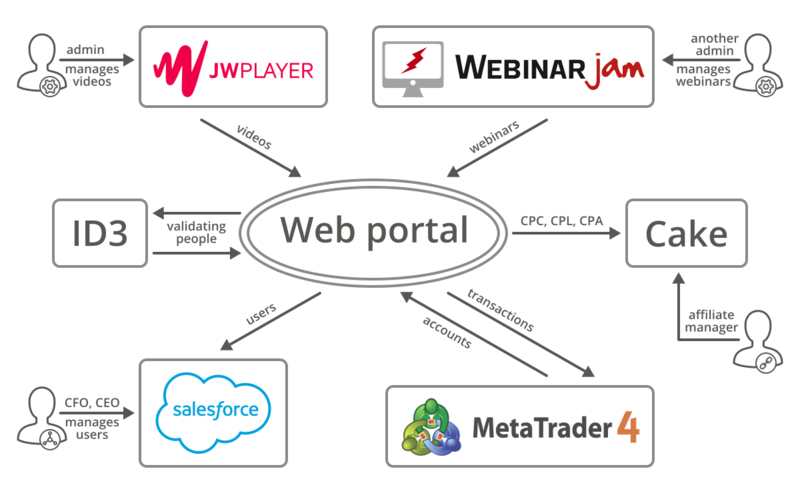 The integration enables the use webinarjam service, all its charms and to download webinars out of the base and not to create them from the beginning. 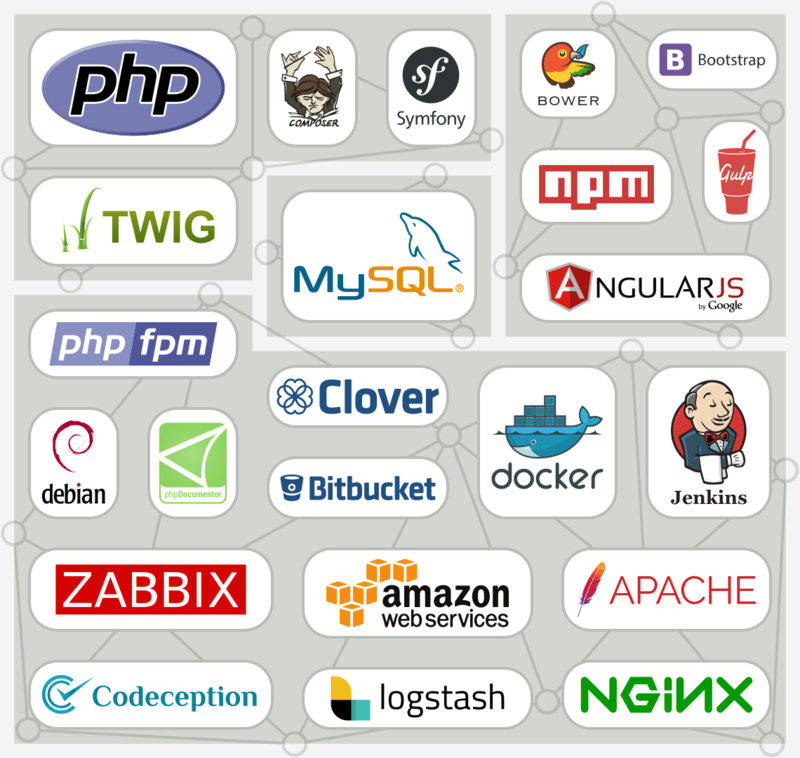 Webinarjam was customized according to client’s needs - new fields were added for webinars. 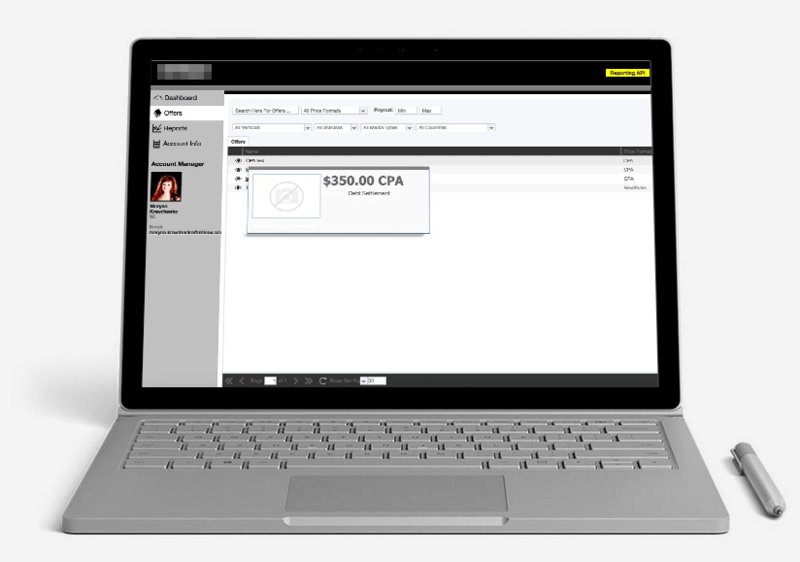 Extra fields were added to video content in jwplayer to fit client’s requirements. 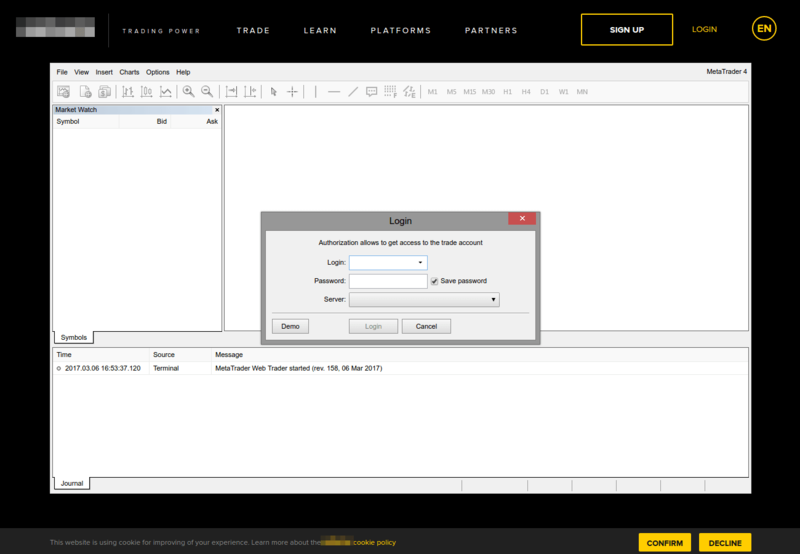 MT4 Account sales is one of the broker products, that’s why we provide an integration with it. We gather documents and information of the user during registration and validate it in the ID3 system - human status verification system. Lead generation - JOIN US NOW form, which is filled when a person got interested in the service, so a sales manager can contact him later. Using Salesforce as a direct client base - SF is the main base for us, so anything is happened with our own base, we can upload all information from SF. Authentication through SF - in order not to create a database with the features and salespeople from the beginning, and to use ready-made base, which was led before. Using Salesforce as an integration base - we can upload clients data from other SF bases (another broker products) so they get an access to our portal.